On an official ASCE Presidentai??i? ?s trip last week to the University of Michigan, I had a great experience meeting the inspiring civil engineering students there and touring the universityai??i? ?s labs. There, I was exposed to an example of engineering progress that can help you make the case that spending extra now to do something right will lead to greater savings over the long haul. 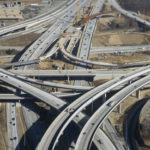 The university has developed a high strength, high ductility concrete that is helping Michigan DOT replace deck joints with a material that will last 20 years, not the typical five years of a normal replacement. Although the kicker is the new concrete costs twice as much, itai??i? ?s pretty clear to see that spending double now for something that lasts four times as long will mean a savings of 50 percent over the life cycle of that replacement. 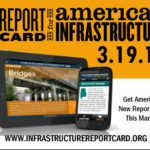 One of the ASCE Report Card for Americaai??i? ?s Infrastructureai??i? ?s ai?? ?5 Key Solutionsai??? to raise the grades is to ai?? ?address life-cycle costs and ongoing maintenance to meet the needs of current and future users.ai??? The new concrete I saw at the University of Michigan and how it was used fits the bill perfectly. 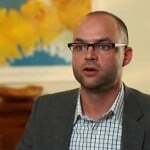 In your designs and other work, how much of a priority do you give life-cycle costs? Can you relay an experience when you had a tough time persuading clients, be they private or government, that an initially costlier option was a better one in the long term? Did you win or lose that battle? Have any suggestions for coming out on top in those debates? 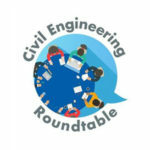 CE Roundtable: What Issue Will Dominate the Civil Engineering Industry in 2018? Q: In your designs and other work, how much of a priority do you give life-cycle costs? R: Life-cycle costs are priorities, isn’t that just basic good engineering? Q: Can you relay an experience when you had a tough time persuading clients, be they private or government, that an initially costlier option was a better one in the long term? 6) not my project but one I was familiar with: retrofit an existing manhole with a flume rather than construct a flume in a new manhole – flume did not and really could not get set correctly and has never functioned – for “saving” maybe $2000 to $3000 by not constructing with a new manhole. Q: Did you win or lose that battle? R: Lost all debates/issues – that is why I remember them. BUT I have also been on projects with clients who would NOT use various plastic pipe but only ductile iron or rcp because these clients recognized the longer term value – maybe convinced by engineers before me so those were not issues or debates that needed to occur. Q: Have any suggestions for coming out on top in those debates? R: No suggestions from me for coming out on top. I would welcome suggestions from all to become more persuasive myself. Can reports for life cycle costs or just annual operation and maintenance costs for infrastructure projects become as common to design project documents as plans and specifications? When I was young – eight or ten years old, I recall the frustration of riding a bike through mud to get to the baseball diamond – mud where construction of an expanded road was then taking place. Now about 35 years later, that road still has never been repaved although it gets very heavy traffic – mostly autos though not many trucks. Something or many things on that project went very well. The opposing question – dollars/millions$/billions$ wise and ounce foolish – I have wondered about spending too much as my hometown spent BIG $$$ in the late 1960s to build a third reservoir that has never been used/needed. Was that spending too much? I don’t believe in my lifetime that water has ever been needed from the second reservoir, actually a small dam on a river with a reliable source even in major dry spells. But that water in the third reservoir will be there for extreme droughts AND although the third reservoir has never been used as a reservoir for its water source, it DOES get used as a park, fishing, boating, windsurfing, etc.